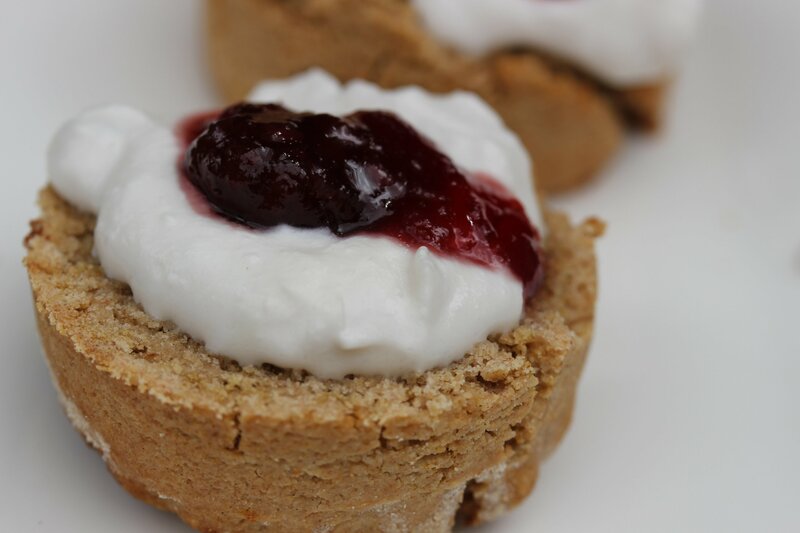 These healthy vegan scones are refined sugar free, margarine-free and gluten free too. Made with just four ingredients they are incredibly simple to make and utterly delicious. I frequently get asked for recipes that don’t include dairy, eggs and gluten so I’m trying to create more of them. I personally try to avoid sugar as far as possible, and when I do eat it I use a lot less and stick to the unrefined varieties. All sugar is bad for our bodies, but mine seems to react better to coconut sugar than it does to refined white cane sugar. My original scone recipe uses margarine to keep it dairy free. These days I am a huge advocate of avoiding margarine and processed vegetable oils. “The polyunsaturated fats in processed vegetable oils are artificially extracted through a high heat chemical process called hydrogenation. The exposure to high heats makes them highly reactive. They can become very unstable in our bodies, causing inflammation. Cooking polyunsaturated fats on high heat can also turn them into partially hydrogenated fats known as trans fats. What are processed vegetable oils? These days I try to avoid these oils in my recipes and prefer to use coconut oil, olive oil, avocado oil or animal fats such as lard, tallow or butter. These saturated fats are less reactive and more stable and are critical for the delivery of fat soluble vitamins to the areas of our body that need them. 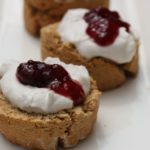 How do you make these healthy vegan scones? My healthy vegan scones include minimal ingredients (just 4!) to create a light and delicious scone. My wholegrain gluten free flour is the key ingredient. 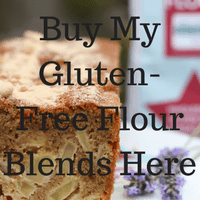 If you’ve ever had trouble baking with gluten free flour then you need to read this article. It explains why the gluten free flour you use in recipes is the key to your success. My flour is a blend of wholegrain flours. It not only provides a source of protein and fibre but it also binds well and provides nutrients not found in other gluten free flour blends or wheat flour. I use the self-raising version for this recipe. The double acting raising agents within it mean that the scone is lovely and light. However, it’s equally possible to use my plain flour and add baking powder. The result is still delicious. 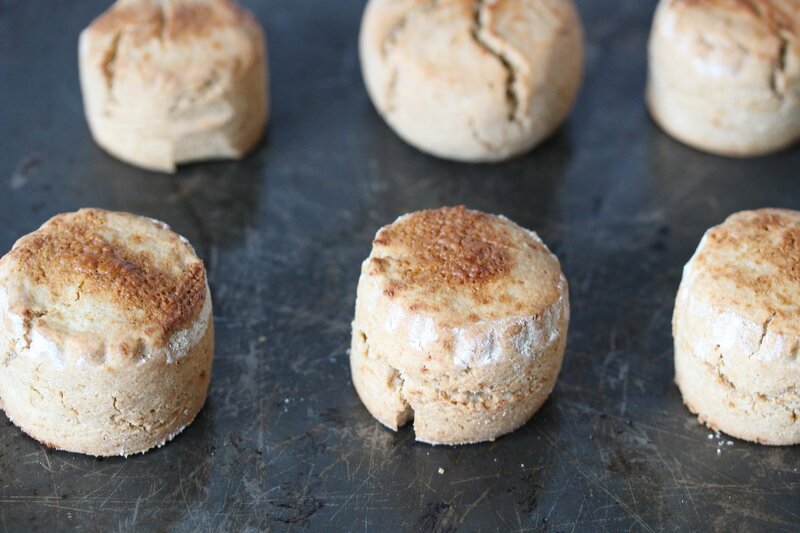 The trick for all gluten free scones, including these healthy vegan scones is to cut them at the depth you would like the finished scone to be. Gluten free scones don’t rise very much so if you roll them out thinly you’ll have a thin scone. They are so simple to make. I use coconut cream to bring the dry ingredients together and you have your dough very quickly. What do you serve with healthy vegan scones? 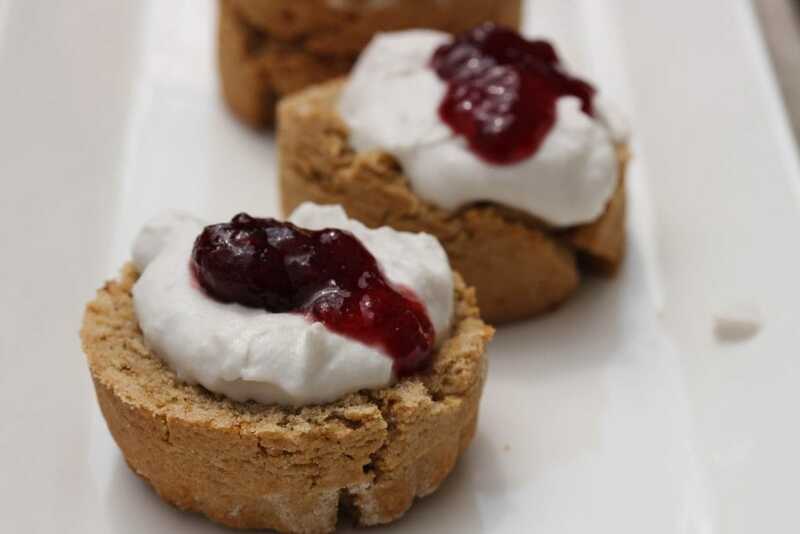 I serve these with whipped coconut milk and a small dollop of jam. To whip the coconut milk you need a chilled tin of coconut milk (ideally chilled overnight in the fridge, but if not for around 30 minutes in the freezer). Tip off the liquid part of the tin, leaving the solid coconut milk at the bottom. Place the solid coconut milk in a bowl and whisk until light and fluffy. If you fancy you could add some vanilla extract to flavour it. Use that in place of clotted cream and don’t forget the jam. If you like the sound of this recipe get a copy of my free recipe ebook by entering your details below. In it you’ll find recipes for gluten free pastry, bread, pizza, Yorkshire puddings, Victoria sponge, pancakes and gingerbread. What equipment do you need to make healthy vegan scones? 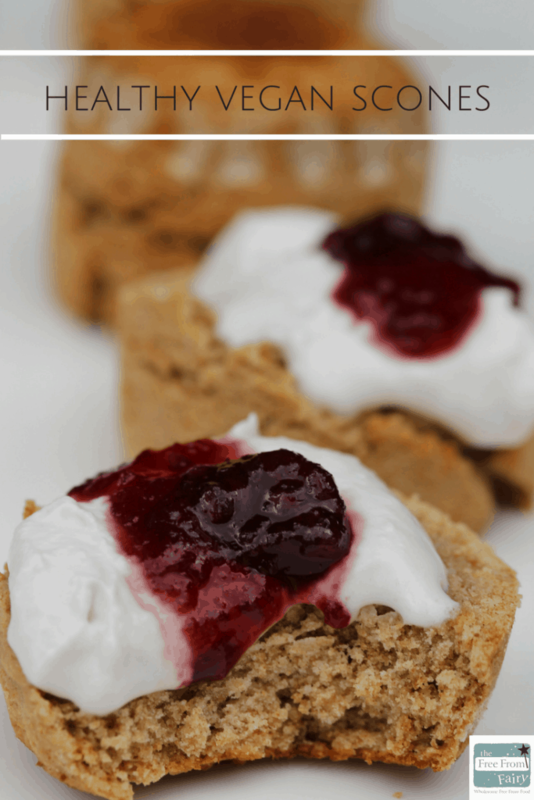 I use a food processor to make this scone recipe. It makes it so easy. You add all the ingredients and combine until you have a dough. In addition to that you’ll need a good quality baking tray and some cutters. Always use smooth sided cutters for making scones. It helps them to rise more evenly. 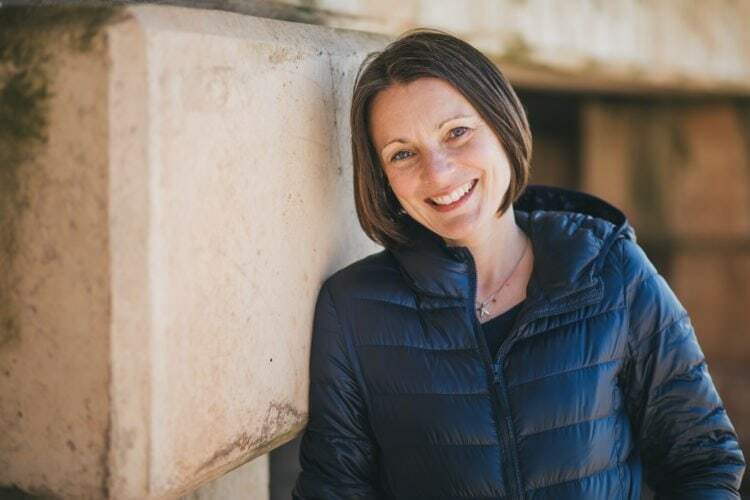 If you want to learn all about how to adapt to the gluten free diet join my Gluten Free Diet: Basics programme today. I will teach you everything you need to know in just 3 hours to make you more confident and happier with your diet. If you’ve been following the diet for a while but still have symptoms it could also help you understand why you are still feeling poorly. Fantastic!! Loved these. So fast to make and were so great.